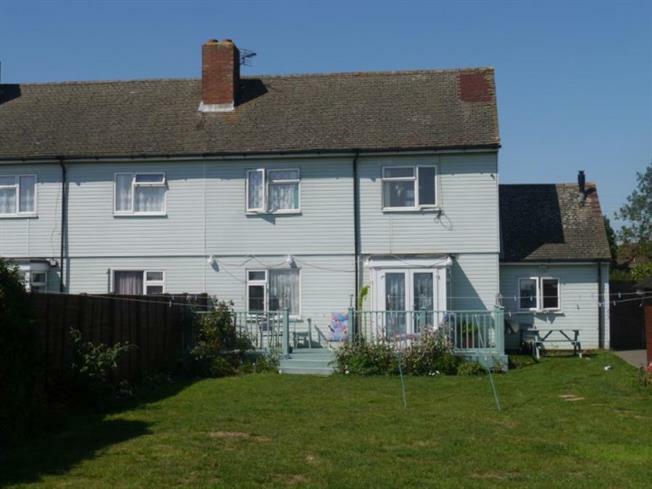 3 Bedroom Semi Detached House For Sale in Romney Marsh for Guide Price £240,000. Three bedroom semi detached house with large rear garden backing onto fields. Downstairs there is a good size lounge at the rear overlooking the rear garden. Separate dining room with tiled floor. Kitchen with range of wall and base units, sink unit and space for cooker. Door to lobby with downstairs WC. Upstairs are three bedrooms and the family bathroom. The front has off road parking for numerous vehicles including space for a motor home if required. The rear garden is mainly laid to lawn with far reaching field views.